Police are appealing for witnesses to this alleged road rage incident. 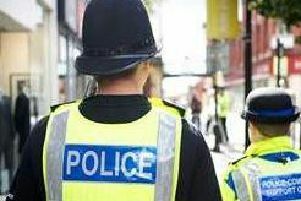 Police are appealing for witnesses after an alleged road rage incident in Clitheroe. The victim, who was in his car, was allegedly assaulted by a man driving a black Audi A3 estate car on Saturday November 5th. The alleged assault occurred on the corner of Edisford Road and Lancaster Drive between 1-30 and 1-45pm. The Audi driver is described as being over six feet tall, of heavy build, aged between 40 and 55 years old, with grey hair and a beard. He was wearing a dark top and jeans. Police are appealing for any witnesses who may have seen the incident to come forward quoting incident number EG1606864. Call Clitheroe police on 101.